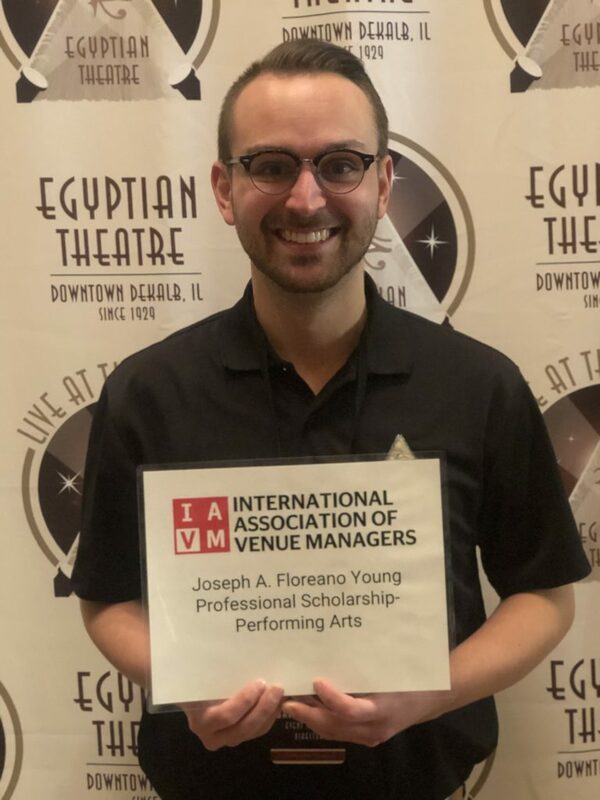 Egyptian Theatre Event Services Director, Brandon Pugh, was recently awarded the prestigious Joseph A. Floreano Young Professional Scholarship to attend the International Association of Venue Managers (IAVM) Annual Conference & Trade Show VenueConnect. The young professional scholarship focuses on identifying and developing the talent of venue management professionals to further develop their career and skillset. Applicants must be 30 years of age or younger and working in a venue. Applicants are awarded based on their character, leadership, professional development, financial need and commitment to advancing the venue management industry. The annual VenueConnect Conference & Trade Show hosts professionals from a spectrum of public assembly venues including arenas, convention centers, amphitheaters, fairgrounds, performing arts centers, stadiums, universities, and more. This is the only industry conference that inspires industry leaders, provides targeted education, and brings attendees together.